Yay! 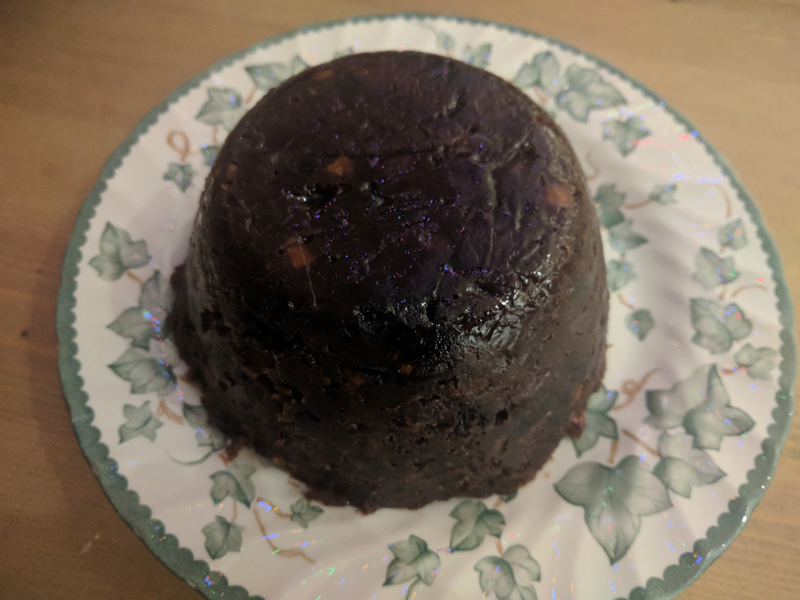 I really enjoy Christmas pudding. I only get to eat it once a year and make sure I have at least one. However, this year (2017) since it’s a sea of change for me, I decided to make things extra special and make one. This is my recipe, with accompanying photos so you too can follow along… Enjoy! 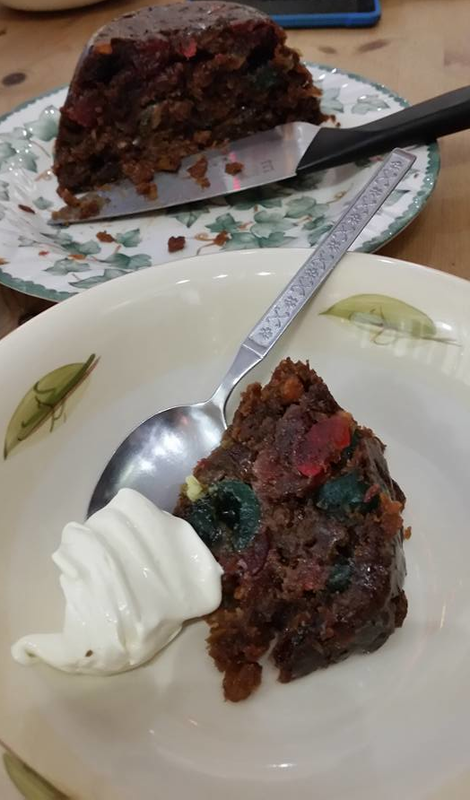 Ideally, the pudding should be made at least six months in advance and stored in the airing cupboard. 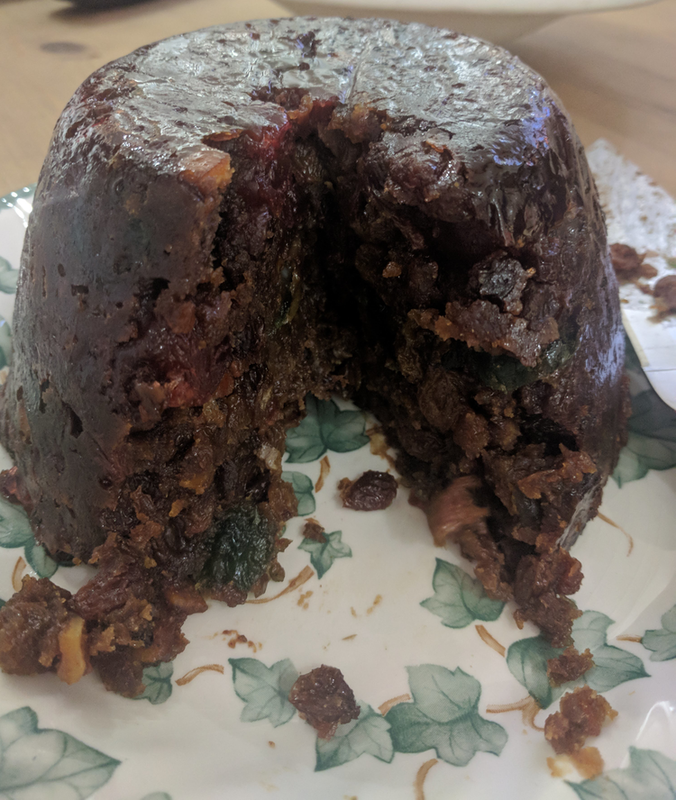 If time permits, it was not uncommon too long ago for the pudding to be made a year in advance, such that you were eating last year’s pudding the following year. If you can, I recommend you start as early as possible. For this recipe, you’ll need a two litre pudding basin (see image below) as well as dried fruits. 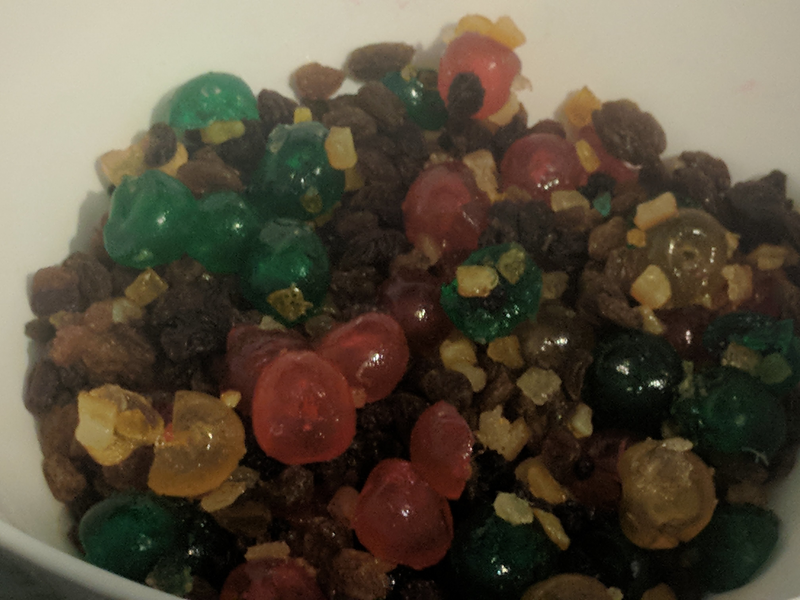 These can vary to your liking – I’m adding extra glacé cherries since that’s my preference; but as long as the weights tally, you can mix and match anything, including adding chopped nuts if you so wish. Add the treacle, stout and brandy/sherry to the fruit and stir well. Leave this covered and allow to soak for at least 24 hours, and not a minute less. You must now wait until proceeding to the next step. 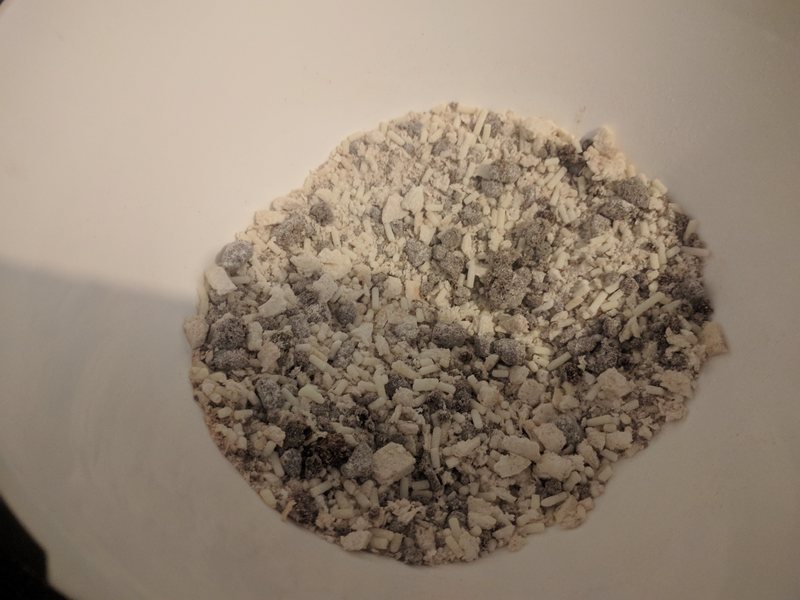 Place all the dry ingredients into another mixing bowl (flour, suet, breadcrumbs, spices) and mix well. 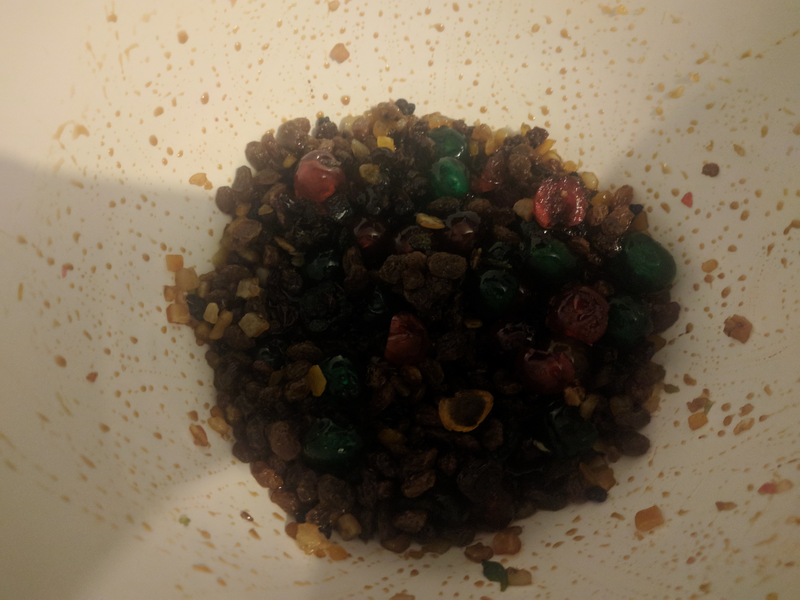 Now mix in the soaked fruit, a spoonful at a time, into the dry ingredients. 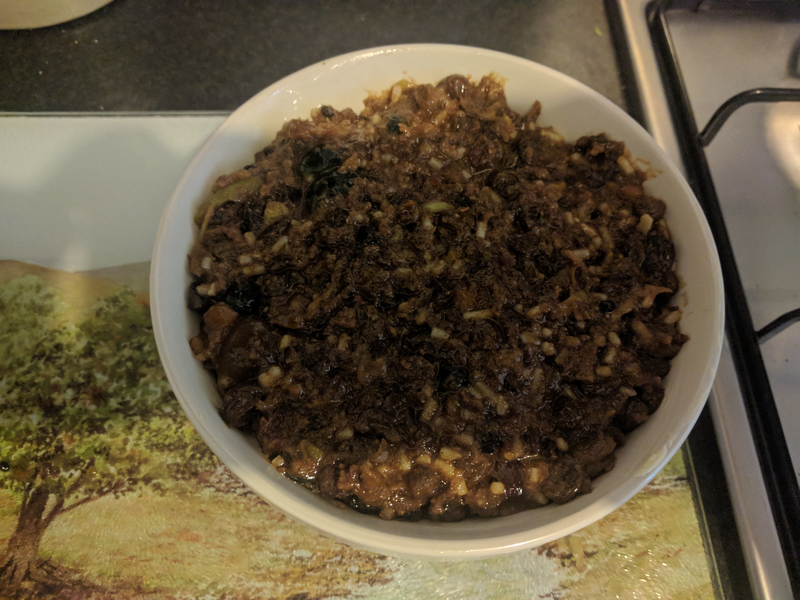 Add the eggs and the grated apple. 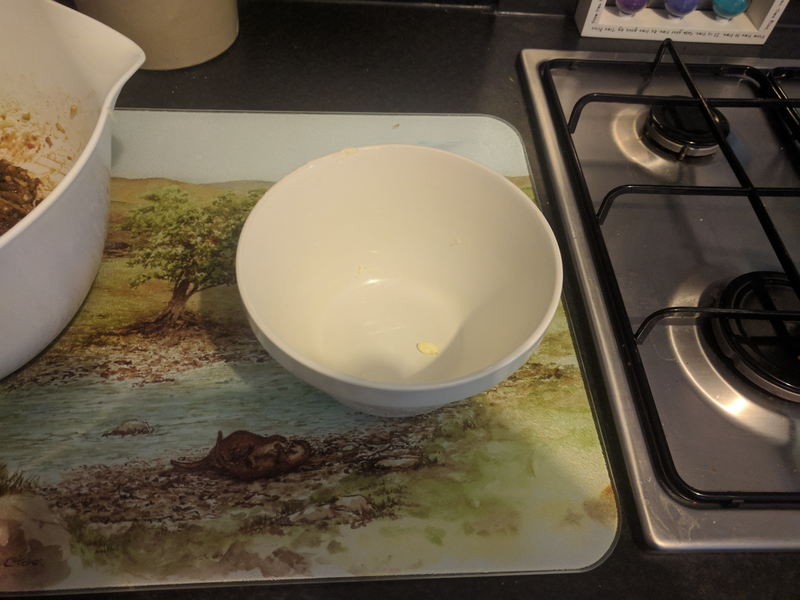 Leaving that to settle, take the pudding basin and grease it with butter or margarine. 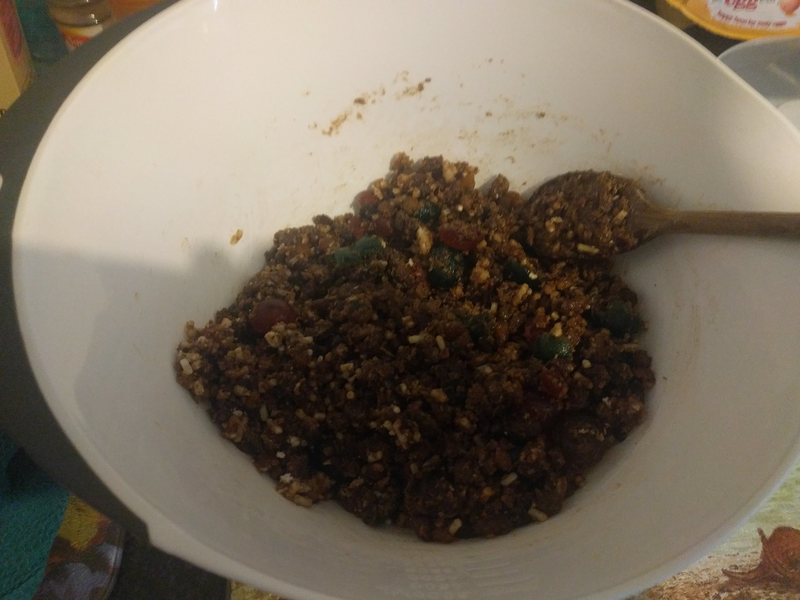 Add the mixture to the basin slowly, making sure the pudding is level at the top, but not too proud to the surface as the pudding will rise. Next, prepare the pudding for steaming. 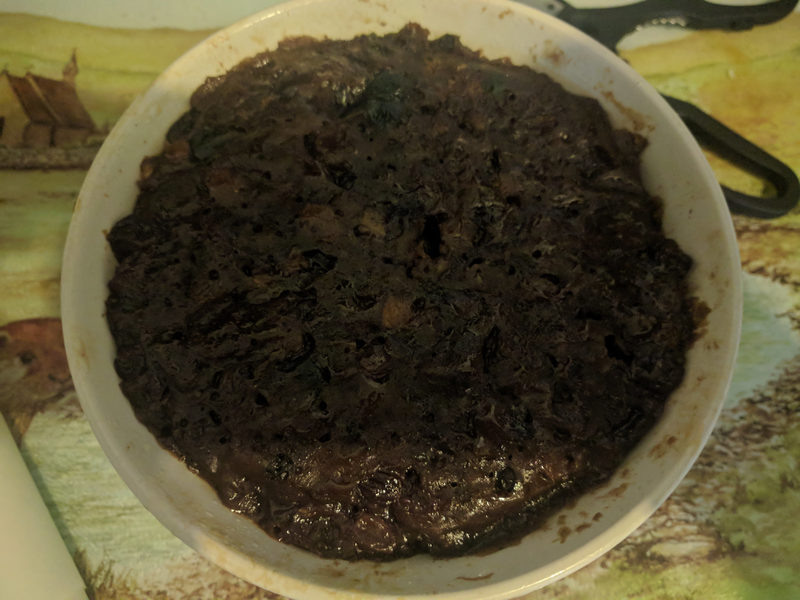 I used the following youtube video for prepping the pud. 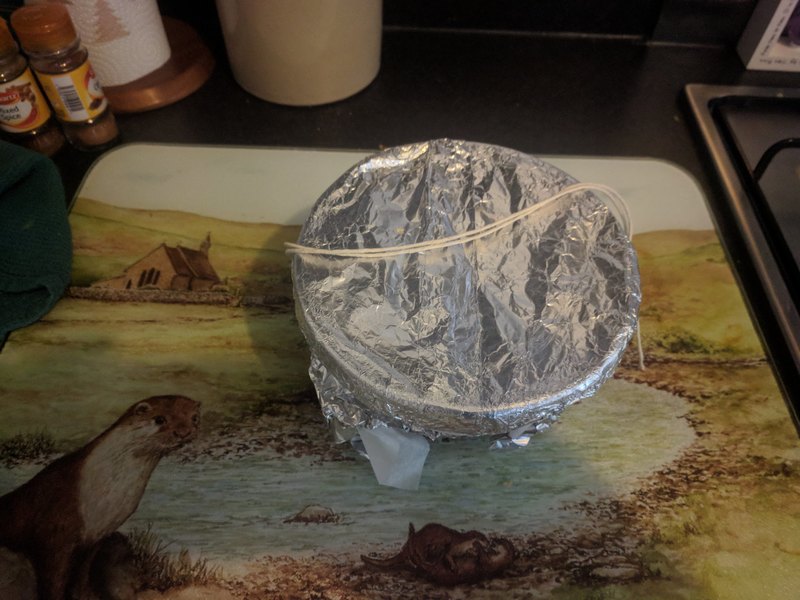 Note that it’s important to put a grease-proof lid on top of the pudding first of all before covering with foil. If you wish to steam him on a hob in the conventional way, he’ll take about 6 hours. I do mine in a pressure cooker which takes about 1.5 hours. 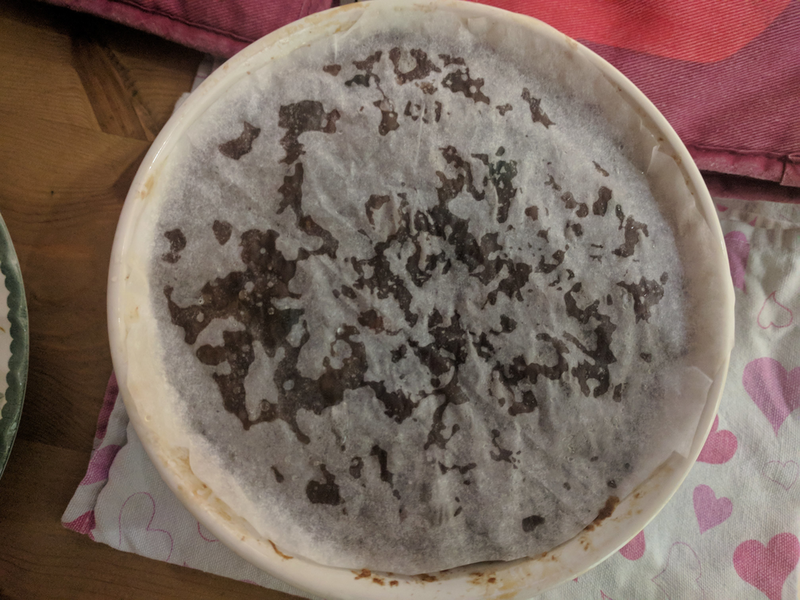 Allow the pudding to cool, having removed the lid. When cool, prepare the pudding again as in step 7., although don’t steam. Instead, store in the airing cupboard. 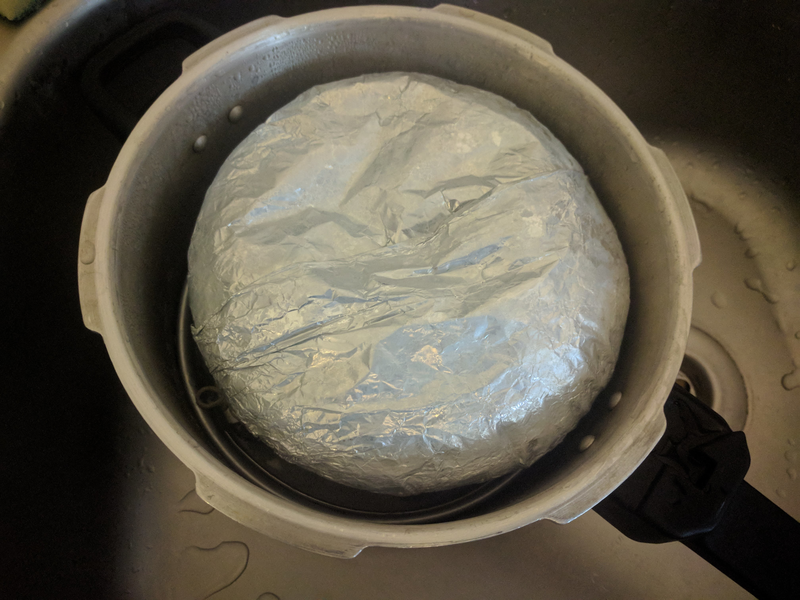 On Christmas Day (or whenever he’s due to be eaten), steam him for a further two hours, or 30-60 minutes in the pressure cooker.